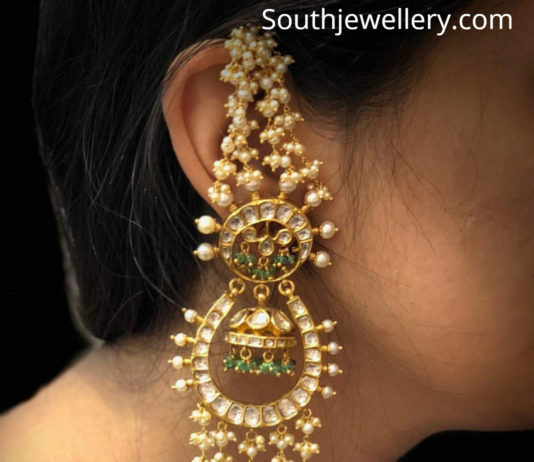 22 carat gold antique jhumkas studded with kundans and pearls. 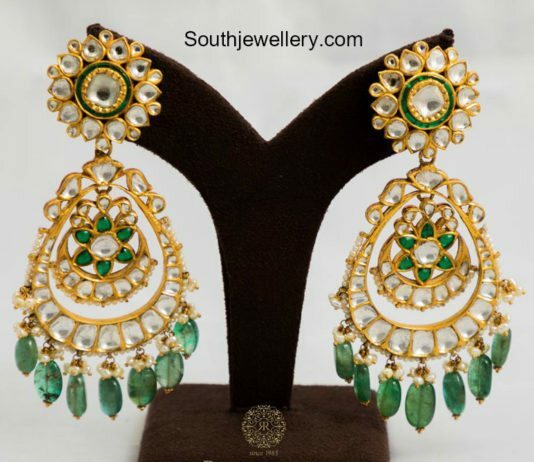 22 carat gold antique chandbalis adorned with kundans, polkis, pearls and emerald beads. 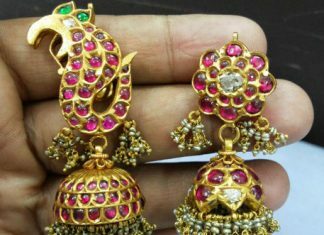 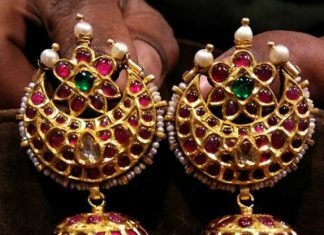 22k gold antique chandbali jhumkas studded with kundans. 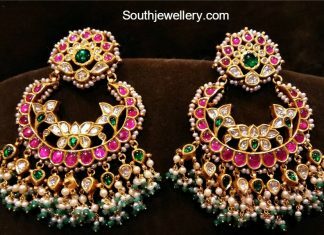 22 carat gold antique jhumkis adorned with kundans and pearls. 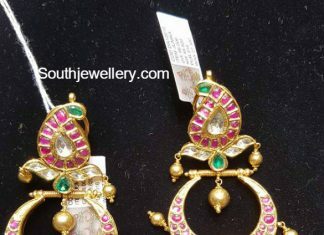 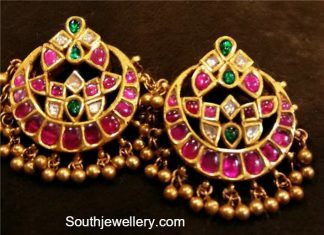 22 carat gold antique chandbali earrings studded with kundans. 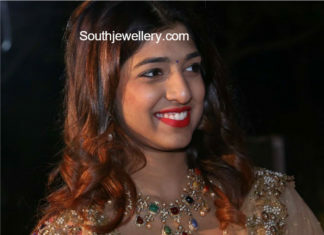 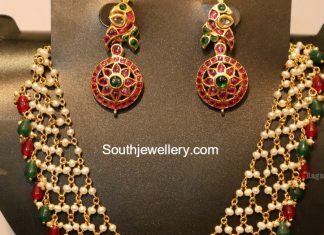 Interlinked pearl necklace and kundan peacock earrings. 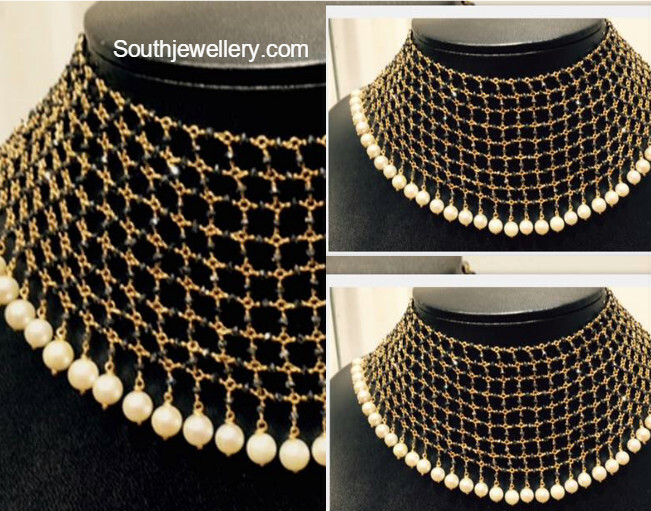 22 carat gold necklace adorned with polki diamonds, navaratna gemstones and south sea pearls.